Unfortunately the phrase factory outlet sometimes conjures up the picture of a retail outlet offering last season's leftovers or seconds. When it comes to Window Outlet this impression is totally false. Windows can hardly be sold as last year's models or as seconds. When we talk about a Factory Outlet we are using the expression as it was originally used, meaning direct sale of our windows to you the customer without a middle man. This means savings for the customer. By using our online shop, you are buying your windows directly from the manufacturer and thereby receiving the best possible price. No extra charges are added by the retailer or distributor but you still get first class quality - and at factory outlet prices! In our configurator, you'll find the Window Outlet. Despite our very attractive and low prices you can be sure that our windows are all manufactured in the Federal Republic of Germany. 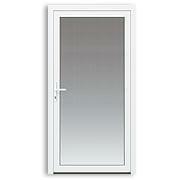 At windows24.com we place a great deal of value on "Made in Germany". 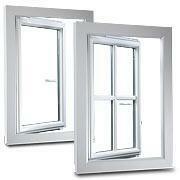 We supply you with wood, PVC and wood-aluminium windows at great outlet prices. 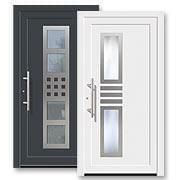 In addition to windows, you can also use our door configurator to find the matching door to your windows and order online. And of course, we also offer the matching accessories including installation and care products, all at outlet prices.